This could be the beginning of the end of Facebook as a free service. Facebook (FB) stock slipped 50 cents or 1.6% to close Wednesday at $30.97 – down 19% from its IPO price of $38. The stock has been up on 18 trading days and down on 19 since its mid-May initial public offering. The social network is still recovering from what many had described as one of the worst IPOs in history. Excess supply, astronomical valuation, NASDAQ technical failures and too much media hype botched Facebook’s highly anticipated IPO sending waves of anxiety among investors who – at some point – feared the bursting of tech bubble 2.0. But a series of recent announcements from the company regarding new advertising tools, as well as a lukewarm evaluation from Wall Street underwriters, have helped the stock to stage a comeback and recover trust from investors who are starting to get excited again about Facebook's possibilities. Since a typical status update on Facebook is only seen by an estimated 12% of a user's friends, and business page’s posts only reach 16% of the company’s fans, Facebook has started to pitch the new service to start ups interested in promoting their products and services through the massive social network. 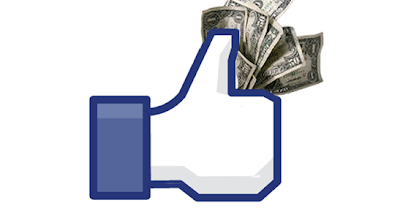 “Promoted Posts" lets business owners – of pages which have at least 400 “likes” – effectively turn their Facebook updates into "ads," in just a few clicks and for a few dollars. In addition, a new feature “Highlight your Post,” would allow actual users to pay a “small fee” so that his or her status updates will get exposed to a larger audience. The feature has been tried successfully by Europe-based social network Badoo – which has more than 150 million members and has been able to fuel its monetization with this new business model. Think about it, currently Facebook users are able to communicate with friends and family around the world for free. They send and receive messages, video, audio, pictures and much more without paying anything for the service. Conversely, communications companies such as AT&T charge for these and other services, and have done it for years. Why wouldn't Facebook and other online services such as Twitter, Skype, and Pinterest start to do it as well. 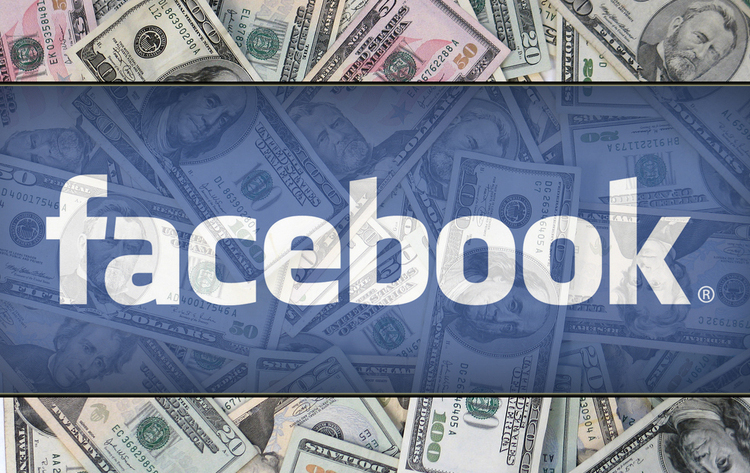 The question remains, though, would you pay for Facebook? Actual Options To Develop Louis Vittoun And Also How One Could Enroll with The Louis Vittoun Elite [url=http://cheaplvhandbagsonline.webs.com/]Cheap Louis Vuitton Handbags[/url] An overview of Louis Vittoun that you're able to benefit of starting up today. [url=http://cheaplouisvuittonpurses.tripod.com/]Cheap Louis Vuitton Purses[/url] To Individuals Who Wants To become skilled at Louis Vittoun But Cannot Move On [url=http://louisvuitton-neverfull.weebly.com/]Louis Vuitton Neverfull MM[/url] Perform the following to learn more about Louis Vittoun before you are left behind. [url=http://lvbagforsale1.blogspot.com/]Louis Vuitton Neverfull Tote Bags[/url] The Key To help you rule the Louis Vittoun-scene Is Really Simple and easy! [url=http://louisvuitton-monograms.blogspot.com/]Discount Louis Vuitton[/url] Products and development throughout Las Vegas -- Louis Vittoun has left without see you later [url=http://buycheapbag.webs.com/]Cheap Louis Vuitton[/url] Caution :Don't Attempt to go by the other Louis Vittoun Tutorials Until You Look At This Zero cost Documentation [url=http://needshopping.tripod.com/]Louis Vuitton Outlet[/url] Scene Report - Louis Vittoun Considered An Essential Today [url=http://bagshipping.tripod.com/]Louis Vuitton For Sale[/url] Word of caution! Don't Attempt to follow the other Louis Vittoun Guides Until You Check This FREE Documentation [url=http://lvbagsfreeshipping.webs.com/]Louis Vittoun Bags Outlet[/url] What analysts are typically not mentioning in relation to Louis Vittoun and the way that this have an effect on you.